Just when you thought you needed a stronger dandruff shampoo to eliminate the flakes that keeps falling like snow from your head, an interesting advice from a friend told you to stop. While thinking all the while you have a problem with your hair, think again, this is not a hair problem,this is actually a skin problem! This time, more localized on the base of your crowning glory, the head. 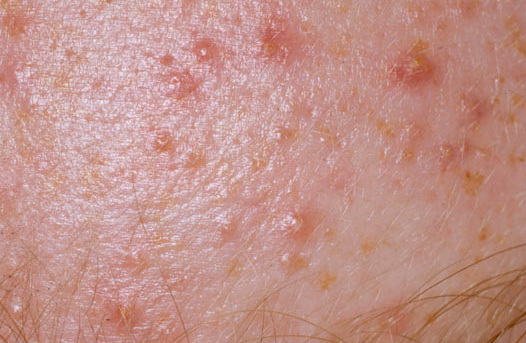 The flaking and intense itchiness on the head is actually caused by overproduction of sebaceous glands. They are hyperactive because the skin is particularly dry up there! And what to do when something is dry? Women will say, “moisturize!”, well, most men will say “lubricate!”. Essentially yes, once again with OIL. And by the way, be wary in using strong dandruff control shampoo. They only harm the normal balance of your skin on the scalp which makes the sebaceous glands run havoc! Hmmmm, the oil from your face can’t be used on the head, no! What we meant here are essential oils like tea tree oil, known for its cleansing power to normalize the bacteria on the scalp. Rosemary and cedar oil are also known to normalize circulation of the scalp. You can add a few drops of these essential oils in a mild dandruff control shampoo. Another advice I got from a good friends of mine is the use of apple cider vinegar. Errr, acid on a dry scalp? Pour a small portion of apple cider vinegar and gently massage it on your scalp after taking a bath. Leave it on for a few minutes and then rinse it off with water. This will help tone the skin and eliminates the bacteria that has now gained residence on your dry scalp. 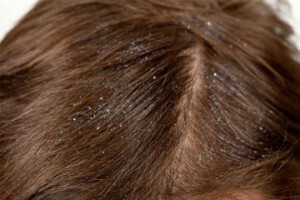 Remember, dandruff is a major turn off. Nobody wants to lean on a shoulder full of flakes! If you have dandruff and cause hair loss, you better check your doctor for further treatment. Share you story, I would like to hear. Ok. Now your face has now become an exit point of the toxins from inside your body. What to do? Load up with vitamins, minerals and fiber in your diet. Having a regular daily dose of the essential vitamins and minerals will help maintain balance and eliminate bodily waste. Another technique I learned is the use of herbs from the Chinese and Western practices. I know some of the people assume the effect of using Chinese practice to cure and illness is slow and not show the effectiveness. In fact, this misconception is wrong. Back to the topic, these herbs are known to cleanse the lymphatic system. Prepare the herbs of milk thistle, licorice, echinacea and red clover. Steep in boiling water and drink a cup or two in a day. This is known to help the body eliminate toxins. How about using the same tea in cleansing your face? Why not! After a short session of face steam, you may wash your face NOT with soap but with the same herbal preparation. Well, it’s still always good to consult the doctors but remember, natural remedies might not be as quick to effect but they are guaranteed safe and effective in the long run.